I am as invested as anybody else in the coming election, but even the people who lean the way I do are annoying me beyond belief. Even though I know I will become increasingly obsessed as the election draws near, right now, it’s too much. So what can I learn from this with regards to fiction? What aspects of the human condition can I glean from this madness, so to enrich my work? First: we are all the heroes of our own stories. I’ve always known that, and this statement is a solid center point in all my classes about writing fiction. The characters all think they’re doing the right thing. Or they’re doing the wrong thing, wishing they had a choice. Everybody in real life thinks that if the world would only vote the way they voted, or parent the way they parent, or eat the way they eat, or drive the way they drive, the world would be a better place. Second: we have little patience for those who do not vote, parent, eat, drive, etc. the way we do. Third: We love to spout the memes, but they are for instructing other people, not for introspection as to how we might be the change we want to see. We’re doing just fine, you see, wasting gas and throwing plastic water bottles into the trash while telling other people to save the planet. So what is the bottom line here? 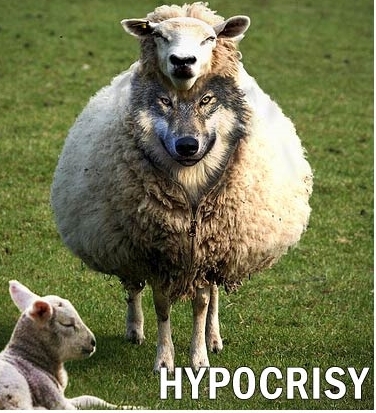 Are we all hypocrites? Apparently. We say one thing and we do another. Why are we so surprised when the harsh spotlight on political candidates illuminates their hypocrisy? This is what makes literature so important. We toss characters into unbearable conflict and watch them work their way out of it in ways we would never imagine. We never see ourselves in this type of conflict (we all work hard to avoid conflict), so we’re fascinated by our reactions to the characters. And we learn about ourselves from the safety of a favorite reading spot. But are our characters always consistent in what they say and what they do? Are we cheating our readers by not pointing out the hypocrisy of the human condition? Or are the best villains the ones who blatantly tout their duplicity? Think through your list of favorite villains. Are the best ones unapologetic about their treachery? I think so. Humans are wonderfully complex creatures. How lucky we are to be in a career that gets to mine all the treasures so deeply planted in our psyches. And tomorrow I will continue to decry the political noise on Facebook even as I add to it.